The word ‘Sifu’ in Cantonese means ‘master’ or ‘teacher’, often used as a respectful form of address. 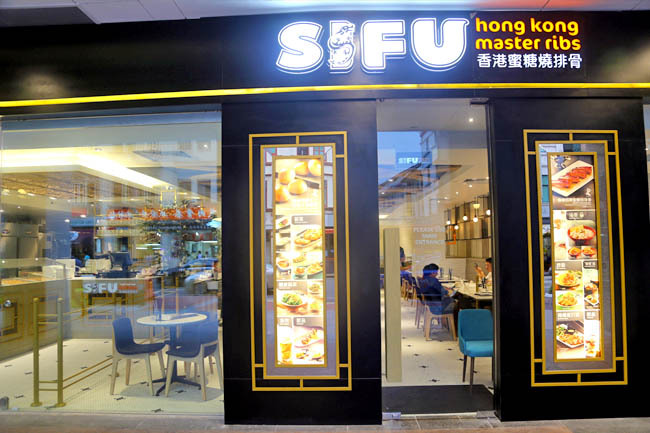 SIFU is also the name of a new Hong Kong café of sorts at Bugis Junction, and you may go in expecting they are the ‘master’ of many dishes. Well. 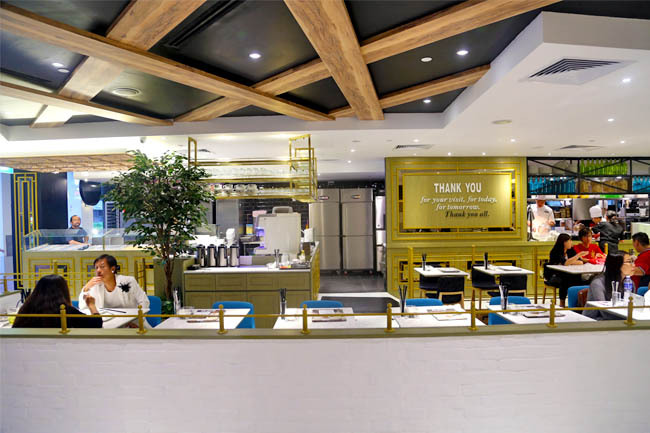 The interior does look quite promising, modern and clean, with a huge space and a little takeaway counter at the side for their buns (So enter from within Bugis Junction). 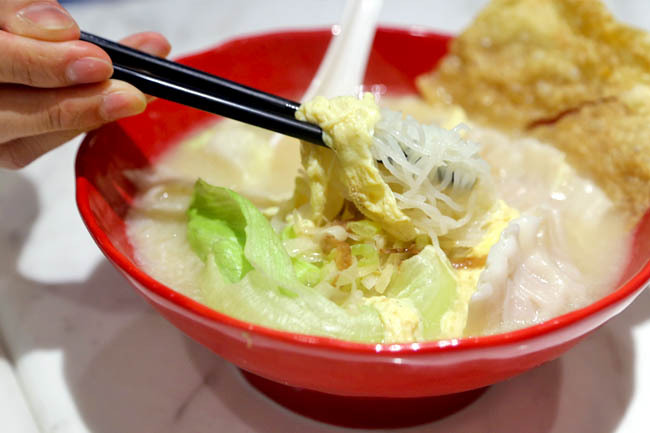 Food choices consist of soup noodles, dry noodles, master rice bowls, mains, bakery items and desserts. Looks Hong Kong-ish, but yet doesn’t carry the typical cha chaan teng stuff. Let’s start with the possibly-good items. The Master Ribs ($3.90) which are Sifu’s Carmelised Roasted Ribs were at least almost fork tender, though the piece slants to the drier side. 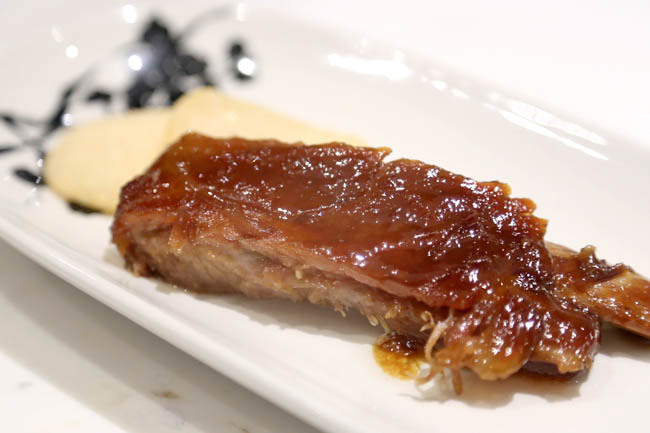 The ribs strangely came with two pieces of ‘lao-hong’ keropok cracker, which does little to enhance the dish. 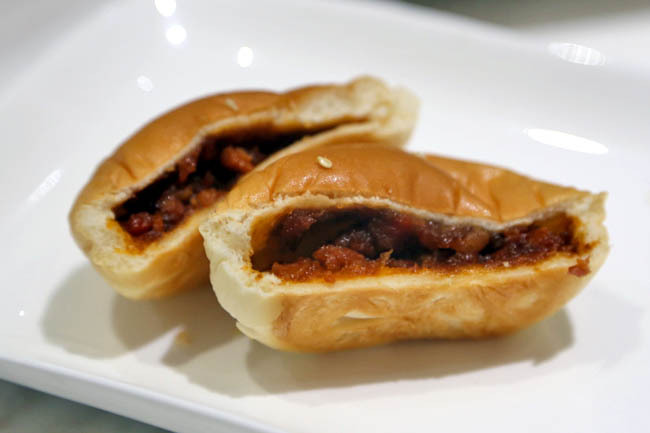 You can order their Signature Handmade Char Siew Bun or Custard Bun ($1.20 each) either as dine-in or takeaway. Okay, the buns were soft and inner char siew sweet enough, minute but at least quite tasty, But I wonder about the $1.20 price tag. 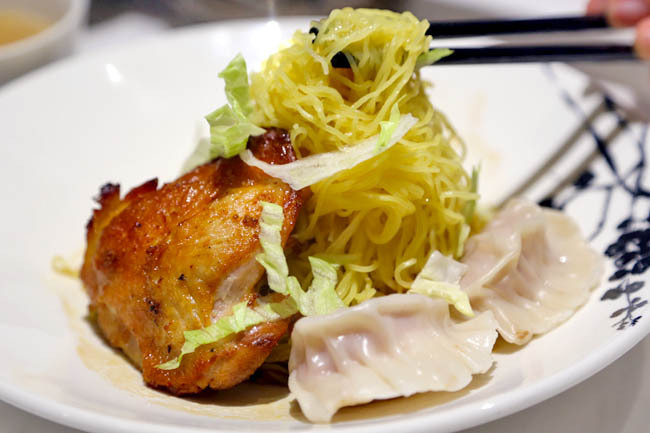 As for the SIFU Signature Roasted Chicken Thigh and Shrimp Dumplings Dry Noodles ($10.80), it was literally dry. Yes, the noodles clumped up together. Actually, the sauce base was not too bad. 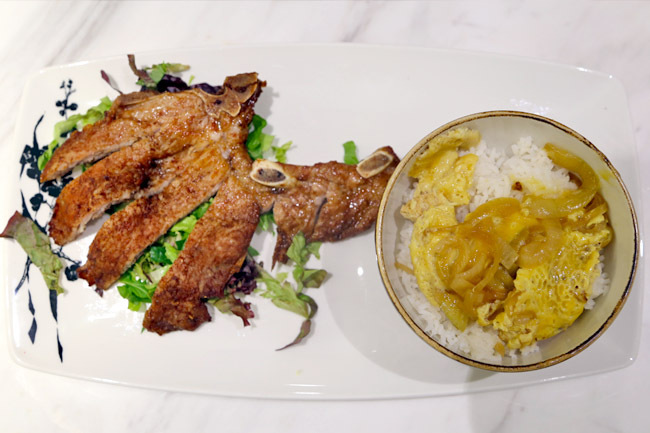 The outer layer of the chicken had quite a workable marinate (somewhat reminded me of Hong Kong swiss chicken), but the meat didn’t pass the test – too dry, too tasteless. Perhaps not marinated long enough. Another one of those. My friend had a possibly worse experience with the Soup Noodle. Ordered a horfun, but received a bee hoon instead. Service recovery almost non-existent. Soup was rather bland, and he described the dumplings as the “frozen supermarket type”. Okay, okay. Some of the dishes were not that bad. 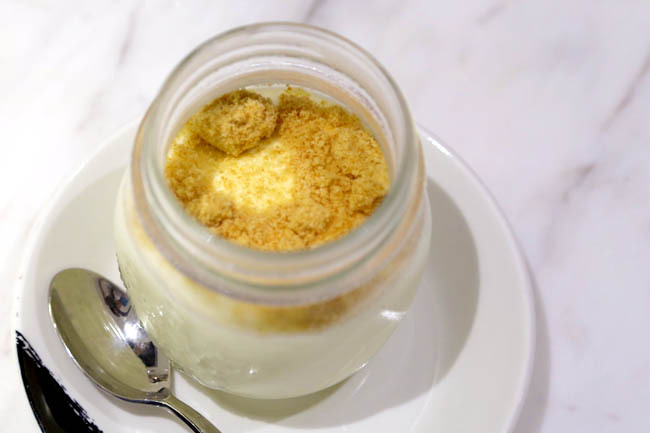 The SIFU Signature Milk Pudding was at least delicate and smooth on its texture. Read an online comment that the food standard was close to a foodcourt. I would concur with that at the moment. Maybe SIFU had some potentially promising concept and recipes, but perhaps not executed that well by its TUDI (disciples).